The Great Gazzoon wins 2013 Western Canadian Music Award as Children’s Recording of the Year! 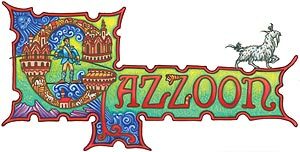 Canadian Children's Book Centre names The Great Gazzoon 2013 Best Book for Kids and Teens! The Great Gazzoon a finalist for Package Design in the 2013 Audie Awards in New York!